In traditional yoga teachings, Kundalini is described as a source of energy, and is often likened to an imaginary serpent coiled at the base of the spine. Many modern yoga practices aim at releasing kundalini and enabling it to climb up the spine, delivering huge energy to the whole body. While various schools of hatha yoga, with their stress upon bodily strength and flexibility, have become very popular in the West, kundalini yoga is somewhat different and focuses more on mental and spiritual development. 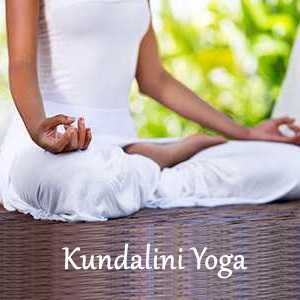 Kundalini yoga places great emphasis on breath control and meditation with the aim of activating the 7 chakras – which in yoga are understood to be the sites of vital energy within the body. Control of the breath is key to awakening and releasing kundalini energy. The most basic technique is that of alternate nostril breathing. Simply sit comfortably, ideally in the lotus position if you can achieve it, and close your eyes. Compress a nostril with your thumb and breathe inwards though the other. Now compress the other nostril and repeat the process for up to 30 minutes. This breathing method releases energy through both prana (in-breathing) and apana (out-breathing); these energies mingling at the 3rd chakra in the navel area. A more advanced technique is the so-called “breath of fire”, which essentially involves the rapid exhalation and inhalation of air by powerful contractions of the abdominal muscles. Slow deep breathing, focusing on the abdomen is also said to help activate the third eye and crown chakras in the head. Sohum Mantra breathing is another technique said to help release kundalini energy. Breathing slowly through the diaphragm, in a comfortable seated position, is combined with the sounds “So” on inhalation and “hum” on exhalation. There are inummerable asanas (postures) which can be used for hatha yoga and will undoubtedly help improve your strength and suppleness, but listed below are a few of those which are particularly relevant to kundalini yoga and delivering energy to the chakras. Like any asana, these should ideally be learned under the guidance of an experienced teacher, but can be safely attempted at home. These asanas are most effective when practiced in combination with the breathing exercises and mantras described above, but it’s also important to understand that they work holistically to provide energy to each chakra and to release kundalini. The term “yoga” is derived from the Sansrit word “Yuj”, which can be literally translated as yoke or bond, but is often also expressed as “union”. Dating back an estimated 5,000 years, it has evolved into a variety of techniques and practices designed to develop the physical, mental and spiritual health of the human organism. Practitioners typically apply a combination of physical postures and exercises (hatha yoga), breath control (pranayama) and meditation (dhyani), with the ultimate objective of attaining the state of Samadhi, a state of spiritual enlightenment and awareness. © 2017 World of Dances - All Rights Reserved.